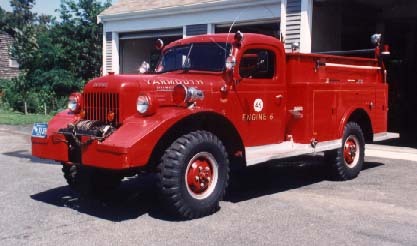 Yarmouth Engine 6 was a 1957 Dodge Power Wagon brush truck. 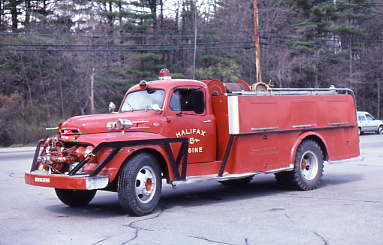 It served in Yarmouth until 1994. 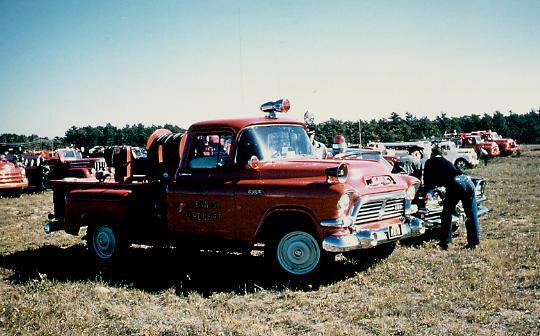 Yarmouth 's 1957 Dodge Engine 6. 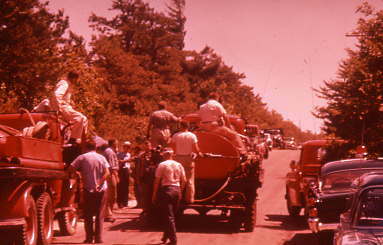 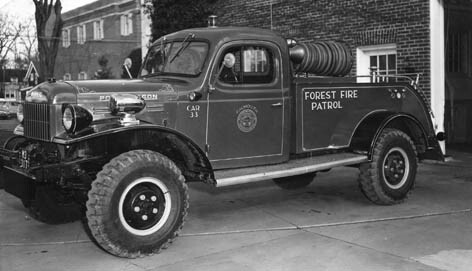 1950s GMC Forest fire patrol from Dennis Fire Department. 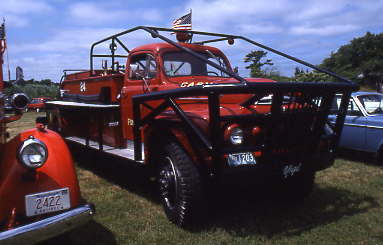 it also fought fires in Plymouth with its 60 gpm pump and 300 gallon tank..
Great Island section of West Yarmouth. 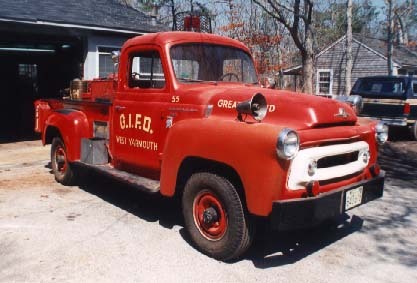 It remains in service today. 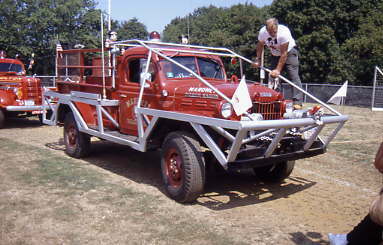 protect the apparatus for off road work. 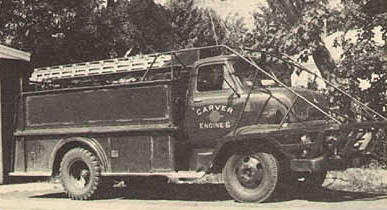 Large brush breaker in Carver (Plymouth County). 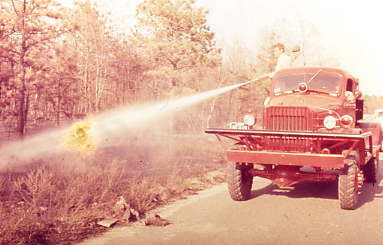 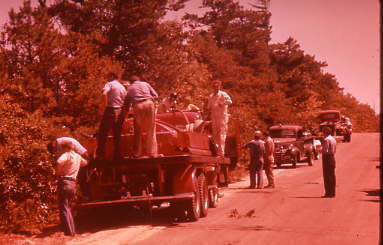 A Plymouth brush breaker is shown operating at a fire in Carver. 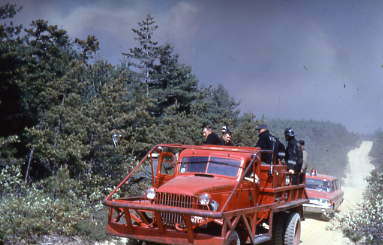 Apparatus lined up at Cape brush fire. 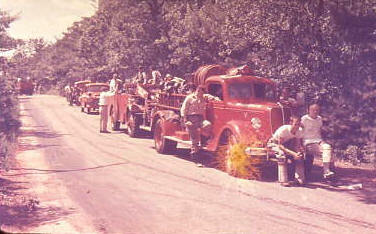 A pumper, patrol truck, and brush breaker. 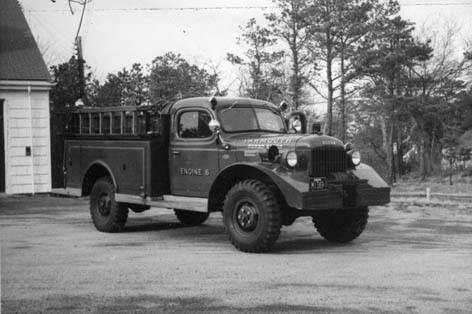 This brush breaker was originally an airport crash truck. 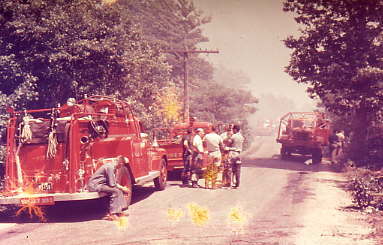 in the Forestdale section of Sandwich c.1967. 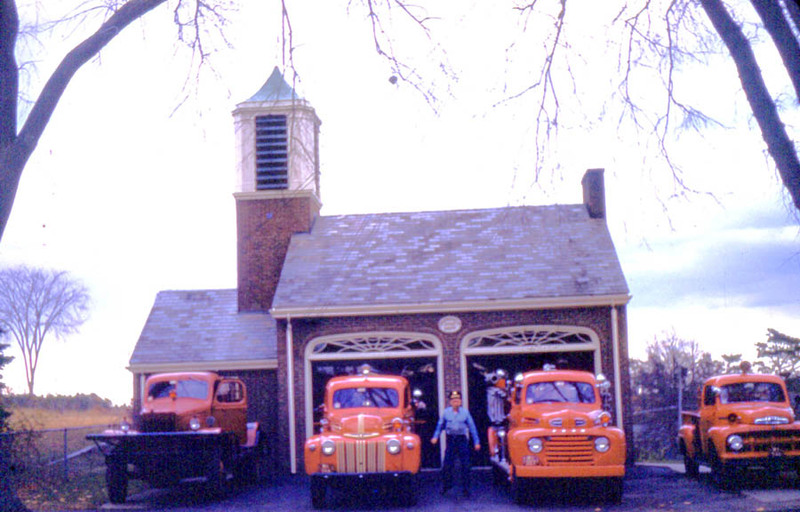 breaker at the Centerville Fire Station, along with the 1942 Ford Engine 4 and 1950 Ford / Maxim Engine 2. 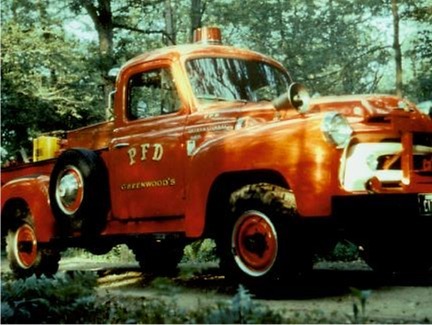 The Forest Fire Department's 1950 Ford patrol truck is also pictured.